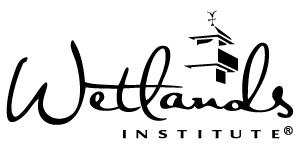 The Wetlands Institute is currently accepting applications for the full-time position of Outreach Coordinator. Applicant must be enthusiastic and have strong personal feelings about conserving and protecting the environment, ecological research, and environmental education. Science Education At Sea (SEAS) – A 3-hour, ship-based program, including trawling, crabbing and plankton, fish, horseshoe crab, and invertebrate studies. Programs occur in Wildwood Crest, New Jersey. Traveling Environmental Education (TEE) – Live animal classroom presentations at schools throughout New Jersey and parts of Delaware, Pennsylvania and New York. Programs include Sea Creatures with Amazing Features, Traveling Turtles, Plankton: Bugs of the Sea, Aquatic Adaptations and Saltwater Gene Pools. Group Outreach Programs – Live animal presentations at a variety of off-site locations throughout New Jersey and parts of Delaware, Pennsylvania and New York. 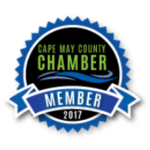 Programs include Sea Creatures with Amazing Features, Traveling Turtles, Life in a Salt Marsh, Plankton: Bugs of the Sea, and Traveling Touch Tank. Scheduling, coordinating and teaching of SEAS, TEE and Group Outreach Programs, as well as, providing training, scheduling, and direct supervision of all seasonal instructors hired to assist with the SEAS program. Scheduling, coordinating, and attending community outreach events throughout the year. Assisting with volunteer coordination and training for all adult and junior education volunteer opportunities. Acting as Manager on Duty (MOD) responsible for site safety, building open/closing procedures, and public programming, including aquarium feedings, salt marsh safaris, creature features, science features, teaching tank and other public programs. Leading additional environmental education initiatives including, but not limited to, on-site programs, year-round public admission programs, specialized workshops and programs, staff training, and special events. Sufficient education and training to demonstrate an ability or aptitude to perform the above and related duties. A bachelor degree in biology, marine biology, zoology, earth sciences, education, environmental science and/or related field. May substitute 6 years of experience. Reliable transportation with suitable space to transport bulky bins of educational materials (1 large, 1 medium), and 50-gallon coolers (2) with live animals and trawling equipment to off-site program locations. Excellent oral and written communication, interpersonal and presentation skills. Previous experience with public speaking and/or teaching experience to a variety of groups of all sizes and age levels. Experience and comfort in the coordination and scheduling of education programs, as well as, the management and direct supervision of seasonal staff and/or volunteers. Proficiency with computer systems and software including Microsoft Office Suite. Ability to perform multiple tasks with effective time management and organizational skills. The demands described here are representative of those that must be met by an employee to successfully perform the essential functions of this job. Reasonable accommodations may be made to enable individuals with disabilities to perform the essential functions. Must be able to work outdoors and on a boat on the Inter-coastal Waterway, Delaware Bay, and Atlantic Ocean in all weather conditions, including sun, rain, and wind. Includes the ability to maintain the proper standards for all education and safety equipment used aboard the vessels during SEAS programs. Frequent physical activities including loading and unloading, lifting, pushing and pulling items up to 50-75 pounds; reaching, stooping, bending, kneeling, climbing, crouching and prolonged periods of sitting. Ability to work a shifted work week schedule that includes weekends and some evenings. This information is not designed to be a complete inventory of the job duties, responsibilities, and qualifications. Rather, it is designed to give the general nature and level of work to be performed by an employee assigned to this job title. Salary commensurate with experience. We provide a competitive employment package, which includes medical, dental, and vision benefits, matching contributions to a 403b retirement plan, and a generous paid vacation and paid-time-off policy. To apply, please send cover letter, resume and references to Brooke Knapick, Director of Educational Program Development, The Wetlands Institute, 1075 Stone Harbor Boulevard, Stone Harbor, New Jersey 08247 (bknapick@wetlandsinstitute.org). Electronic submission is strongly preferred. Application deadline is April 22, 2019 until filled.